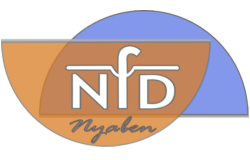 NYASIM is a powerful tool for the development, analysis and validation of flight dynamics models (FDM) for Flight Simulation Training Devices (FSTD) up to FAA Level 5 or EASA FNPT II. In order to validate the FDM for unmanned aircraft several drone functionalities are implemented: autonomous takeoff and landing, target pursuit, emergency landing system, in-flight way point editing, etc. A Flight Test Maneuver Autopilot executes the QTG validation tests automatically. Hence the use of NYASIM reduces the development effort for flight dynamics models significantly. In case of using NYASIM as simulation tool there is no loss of information between the development and the FSTD simulation software.